"Looking for the great taste of your favourite wine, but without the calories or the morning-after feeling? The Uk’s number one alcohol free wine, Eisberg, is the perfect alternative for your favourite tipple." I have been searching for alcohol free drinks, perfect for dry January and also as i don't drink alcohol. Eisberg make alcohol free wines, cocktails... which are suitable for vegans. As its coming up to Valentines day, a romantic meal with wine comes to mind. 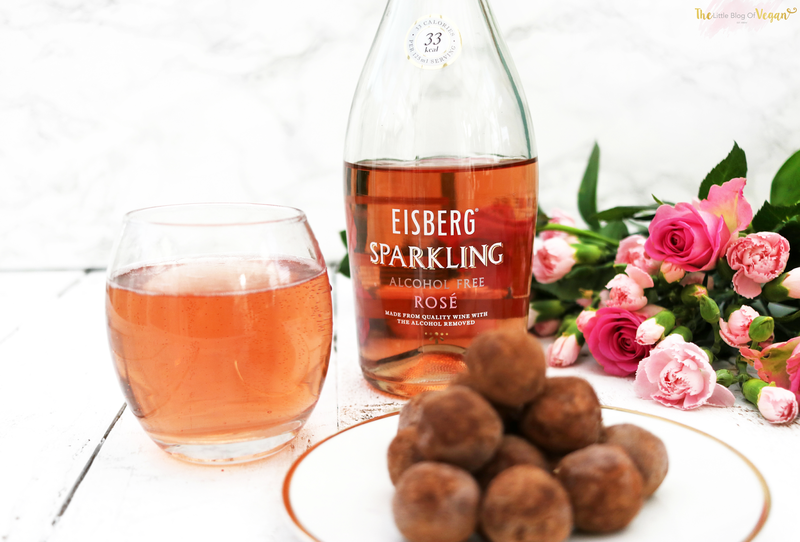 There isn't many good quality alcohol free wines on the market, but Eisberg have created these wines which taste delicious and authentic; and they also look really pretty in flatlays!!! I really like the shape of the bottle and the fact the bottles have a cork & can be popped like champagne or an expensive sparkling wine, again giving an authentic wine experience. Fancy!!! Hi Jade, I had an email from Eisberg saying it wasn't suitable for vegans as contained gelatine? Uses gelatine as a fining agent.